juicy Italian wines & the company of good friends, old or new! 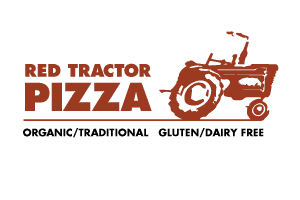 Red Tractor Pizza is the place where the BOZEMAN COMMUNITY comes together to EAT, LISTEN, RELAX, SHARE, LEARN, and CONNECT! "I eat out a couple times a day. I love pizza. This is the best pizza in town. Adam, the kitchen manager, is a great guy and one hell of a chef. I go here and make large orders when we have lots of people at work with varying food allergies. I order a large meat and a large vege special of the day. Everyone at work is always blown away. Food is top, top notch. They're also working with one of the best custom built pizza ovens I've seen." "Love my garlic sauce pizza without cheese. I am lactose intolerant and haven't had pizza but yours is awesome without cheese! Thank you"
"The best! What other pizza place takes the initiative to connect with the community, provides live music 5 nights a week, and brings fresh produce and healthy options for everyone? Answer, no other pizza place. Pizza that actually uses heathy local ingredients. I've never seen a restaurant owner that takes as much time as Adam to give back and educate the youth about farm-to-table/school/pizza benefits. Pizza is his tool to bolster our community. Thanks Red Tractor Pizza!" "The gold standard for my wife and I was Grimaldi's pizza from New York City. The two pizzas we ordered tasted like they could have come straight out of that menu - fantastically delicious. My wife substituted vegan cheese, which didn't sound promising to a omnivore like myself but it turned out really good! Very happy we finally tried Red Tractor!"